We could last week unveil the latest incarnation of Puma King in yellow/Black and now the king of all boots lands in a new colourway, that is probably more like the one we all know and love from the classic collection. 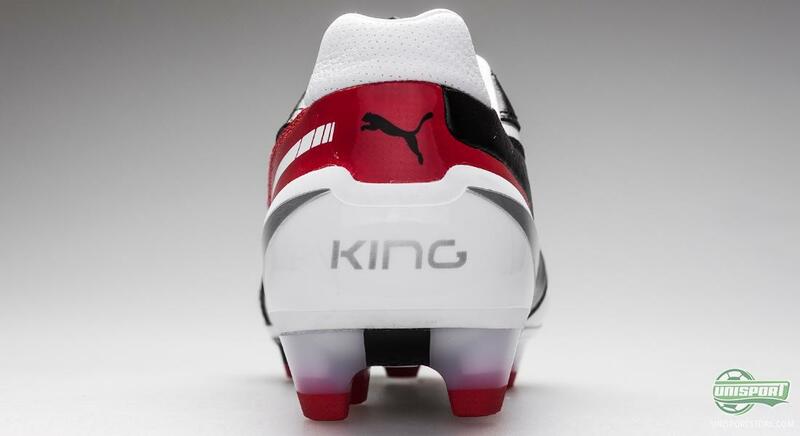 It's the Puma King Black/White/Red and we'll take a closer look right here to see if it's ready to fill out the boots of it's predecessors. The Puma King collection is indisputably one of histories most infamous and successful boots, where a great number of the worlds biggest stars, have graced the pitch, while wearing these boots. 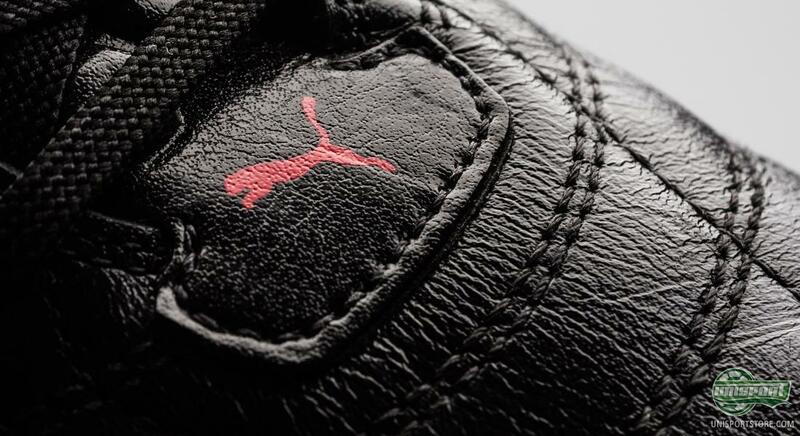 Pelé, Maradona and Eusébio are just a few of the absolute legends, who did their bit, to making this one of the most celebrated boots ever, which is why we, still today, view the Puma King as the icon that it is. Today we'll be looking at the next generation, that takes the boot into the 21 century, but this time in a colourway, that looks a bit more like something we know. 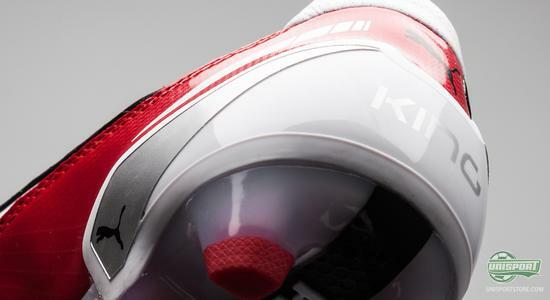 The new Puma King will definitely be attracting some attention from some of the German brands biggest stars, and, already now, Yaya Toure and Mikel Arteta have completed their move from Evospeed 1. It'll be exciting to follow players like Nigel De Jong and Giorgio Chiellini, to see if they do the same, and if so, also what colourway they will pick. 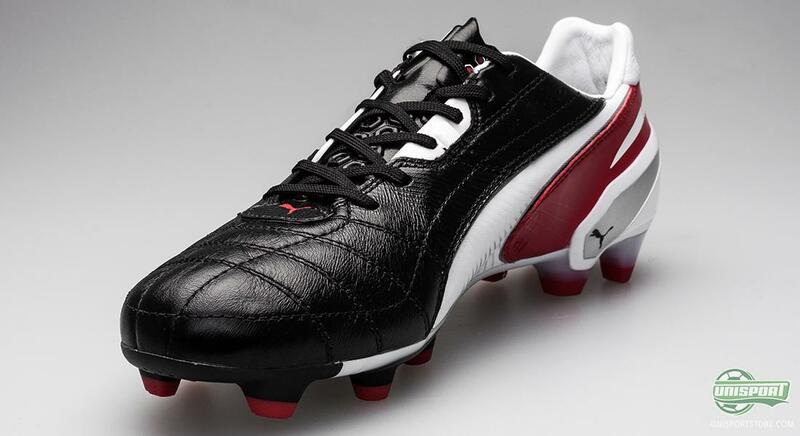 Puma King lands in a super classic black and white colourway, that we know from some of the heritage boots on the market, but to keep it contemporary, they've added some red accent colouring, that gives it some edge. 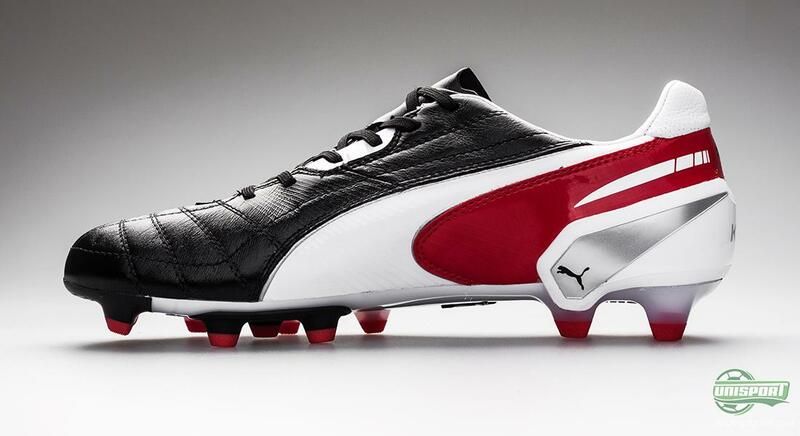 This also adds to give the new Puma King a slightly futuristic look, that will probably take some getting used to for some of the silo's more conservative users. Puma King has always been known for it's extremely nice leather uppers and on that front there's nothing to report or complain about. 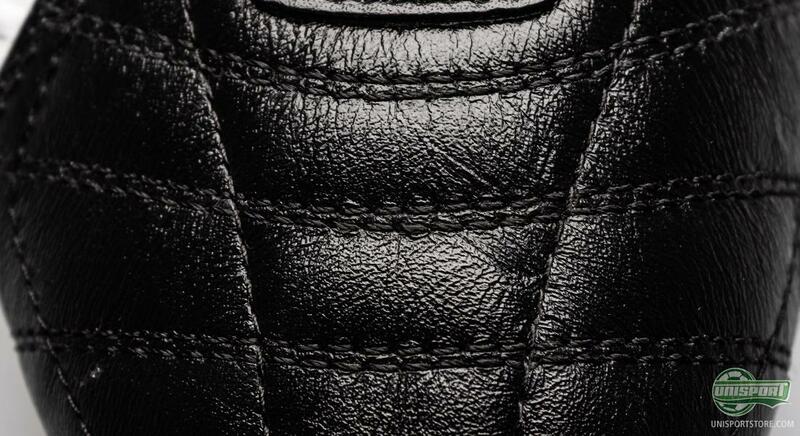 Although it's still a high quality leather, it's no longer kangaroo's leather, but calf leather instead. Puma have worked it brilliantly, so it's incredibly soft and flexible  and you can therefore still expect the renowned comfort. This also gives Puma King a fantastic, natural touch on the ball, that we know from the best leather boots of old. 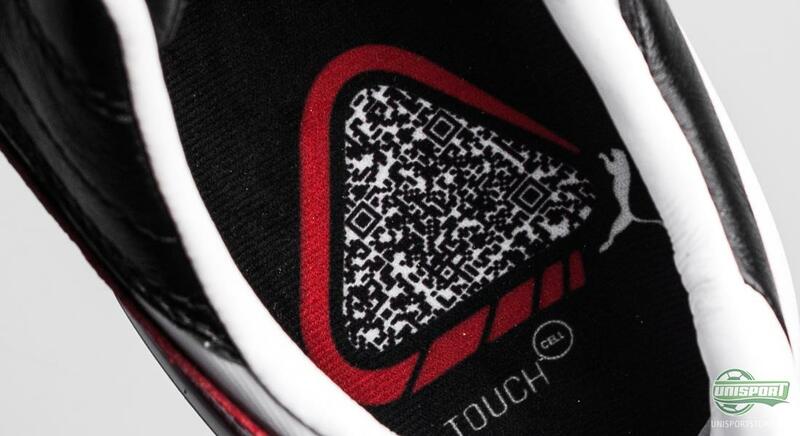 It's been a big point of focus from Puma's side, when they, with the launch of the King, also revealed their new TouchCell. It's because of this new technology, that Pumas control- and touch boots react so well. Puma has completely redesigned the last on the King model and have moved away from the previous AptoLast, to the brand new ComfortLast. 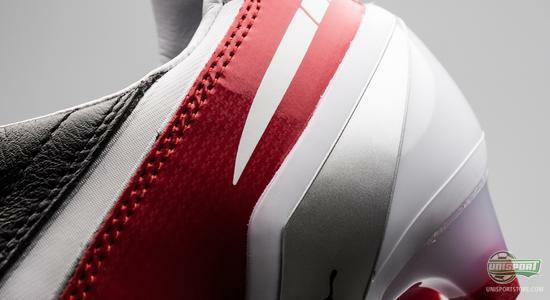 It has been designed with the aim of providing extraordinary comfort to any kind of feet. Therefore, it has been made slightly wider and the forefoot has been lowered substantially, thus making it a lot easier to get under the ball when you're striking or passing. 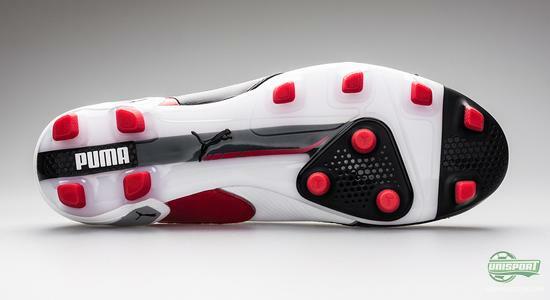 Puma's focus on protection and stability is especially evident around the heel, which has been equipped with an external heel counter. 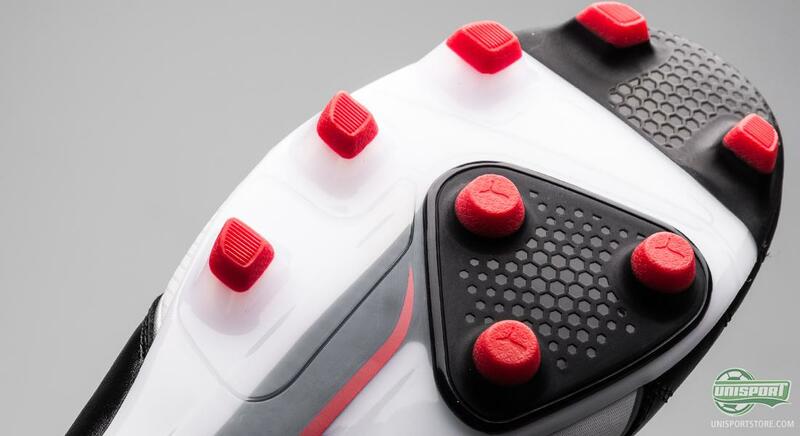 It provides protection to the rather vulnerable area in connection with tackles, as well as, provides great stability. It's the first time ever that we see a Puma King with an external heel counter, but the feature has already gotten significant positive feedback from the pro's who have tested the boot. 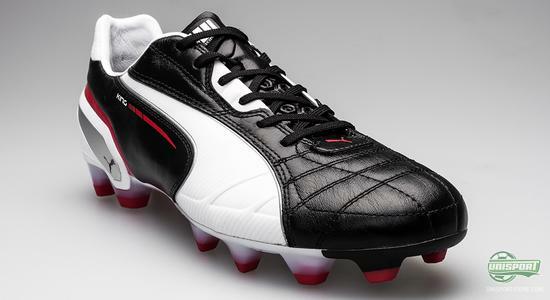 Puma has chosen a Pebax outsole, which we already know from the evoSPEED 1 and Powercat 1.12 models, but the German's have developed a brand new stud configuration. It combines squared Traction studs, which provide improved grip and ground penetration, with classic, conical studs that are placed on the Pivot area, used for twists and turns. 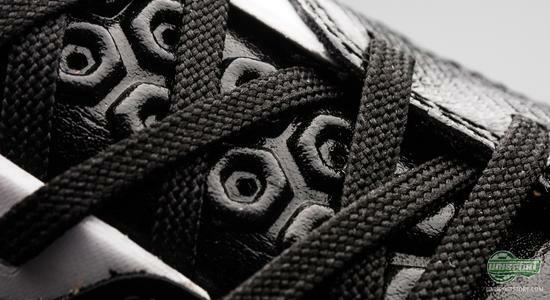 The conical studs are known to improve your ability to make twists and turns in small areas, and, in this case, they are perfectly placed in order to do just that. You can already pre-order the Puma King Black/White/Red right here with expected delivery primo January 2013 - just 159. This is the second colourway of the Puma King that we are presented to within a very short period of time, and once again it's an elegant piece of footwear we see. Although the yellow colourway will get the most professional player support, we are not in doubt that this colourway will also do well. What do you think of the more subtle colourway right here? Does it live up to the 'King' name? Feel free to share your thoughts in the comment box just below.